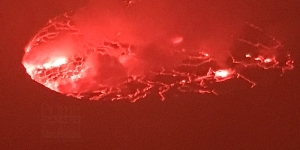 Nyiragongo is one of the world’s most beautiful and active volcanoes and a large stratovolcano near Lake Kivu at the eastern border of DRCongo with Rwanda in the Virunga National Park. 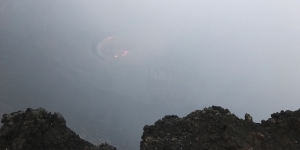 It has a 1.2 km diameter summit caldera containing the world’s most active and largest lava lake. 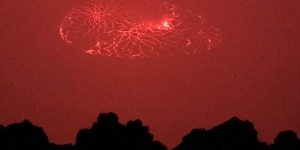 Nyiragongo is notorious for its extremely fluid lava that runs as water when the lava lake drains. 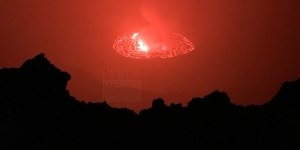 On January 17, 2002, Nyiragongo erupted and the lava lake drained from fissures on its western flanks. 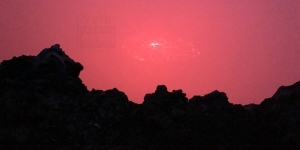 The city centre of the Goma town, the capital of the East Virunga province, had been destroyed by voluninous lava flows. 200,000 people were left homeless, adding to the human disaster caused by frequent civil wars. 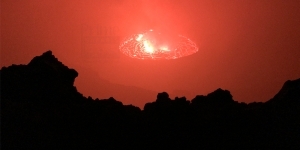 The large lava lake contained in its deep summit crater, now active again, became famous in the 1960’s and 70’s when volcanologists such as the Kraffts and Tazieff studied it. 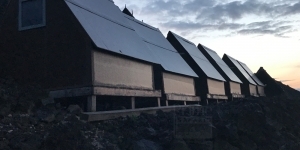 It had been active for half a century before it drained in one of the volcano’s recent most catastrophic eruptions in 1977: through openings in its outer flanks in 1977, a huge lava flow poured out and killed hundreds of people. 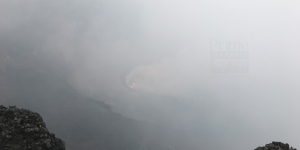 A similar event happened again in January 2002, when lava flows from flank vents drained the lake and cut through Goma, reaching Lake Kivu. 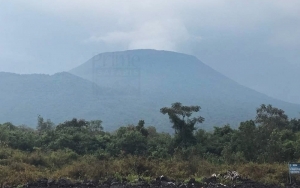 In contrast to its neighbor volcano, Nyamuragira, a typical and very active shield volcano comparable with Mauna, the 3470-m-high Nyiragongo displays the steep slopes of a stratovolcano. 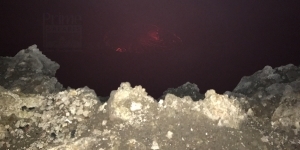 Terraces inside the steep-walled, 1.2-km-wide summit crater mark levels of former lava lakes, which have been observed since the late-19th century. 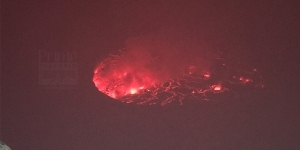 When is the best time to visit Nyiragongo Volcanoes Congo? 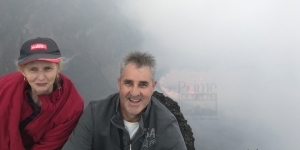 Many tourists wonder when it is safe to visit Nyiragongo for the climbing adventure in Congo, you should not miss watching the active volcano in Congo on any holiday. 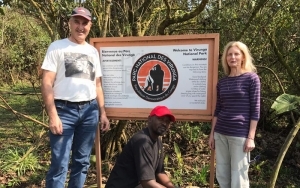 In case you are planning a holiday in Virunga national park, it’s good to do some research about when to go for the experience that you want in Congo as the general rule. 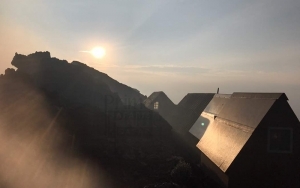 DRC is also a warm and sunny throughout the year and the regions in the country feel many different types of climates. The main thing is to remember that in case you are planning a safari to Congo is the difference between the dry and wet seasons. 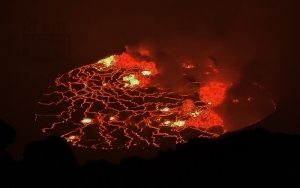 When to Visit the Nyiragongo Volcanoes in Congo? 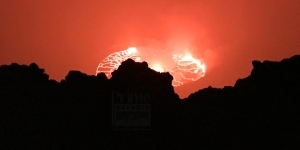 These volcanoes can be visited throughout the year, however keep in mind that there is changes in weather like regular rains mainly during certain months of the year since Nyiragongo is in the middle of the equatorial rain forests. During March to May and November tends to be a rainy season. 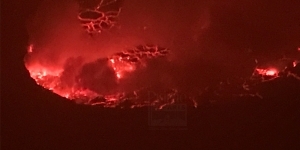 Depending on the season of the year you would like to visit Nyiragongo, there are certain advantages and disadvantages associated. 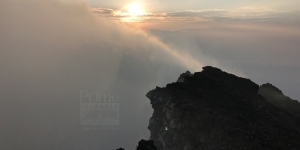 During the rainy season the skies are always clear giving you a chance to enjoy and take photographs of the stunning landscape views of the greater Virunga mountains national park. To a disadvantage rain will frequently make you wet and walk on troubling slippery terrain on your way to the summit of the volcano. During the dry season, you are likely not to encounter much rain but you are likely to feel the dust polluted air which at times is not safe for visitors who are not used to such extreme weather conditions, it may result in un desired conditions such as cough or improper breathing a reason why as an individual you should seek medical assistance from your physician before you travel.